Offering services for a variety of Print and Industry needs. 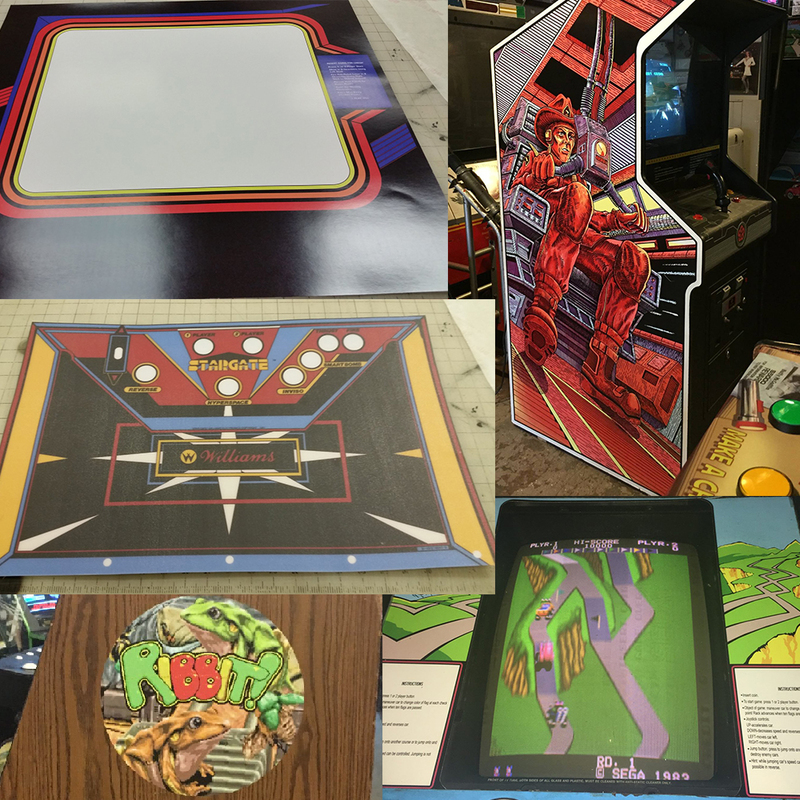 Our Collection of Arcade Art. Side Art, Control Panel Overlays, Marquees and Bezels. If you need something not listed, be sure to message us. We probably have it. We have a wide variety of materials for all of your printing needs. Signs, Banners, Window Decals, Stickers, and Art Prints. Our Services for ROM Burning offer a way to fix old PCB games and re-chip PCB's for other games. Email us for more information on other PCB fixes.